Apacs-Badminton is an eCommerce website that sells a specialist range of badminton rackets, clothing and accessories. 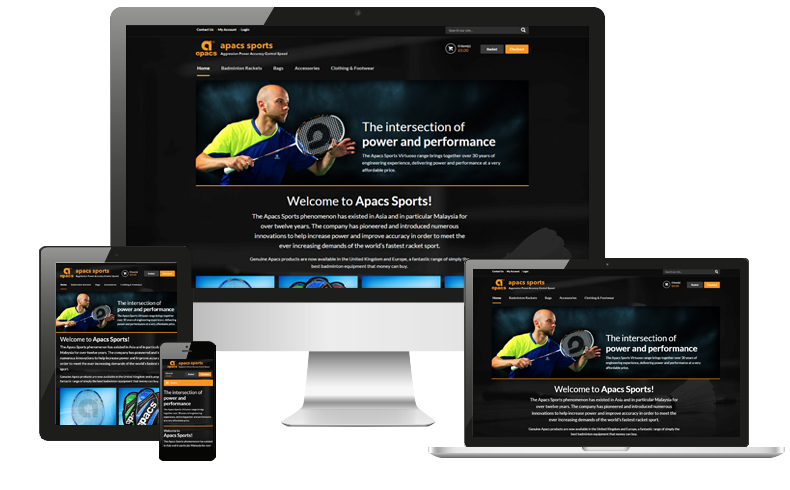 We were approached by Apacs-Badminton to build a new e-commerce website that would allow them to sell their sporting equipment to the UK market. Their aim for the website was for the site to be easy for visitor to navigate around and for their products to be split into easily identifiable categories. Using their existing brand we designed a bold image lead website that would allow their customers to easily identify the different categories. The fully responsive website was developed using OpenCart, a flexible system that allows Apacs-Badminton to effectively manage and process orders, create new categories as well as manage their stock.